This jackfruit (kathal / fanas) recipe is quick and easy to make.Kathal ki sukhi sabzi is a typical north Indian style recipe which is cooked in mustard oil. 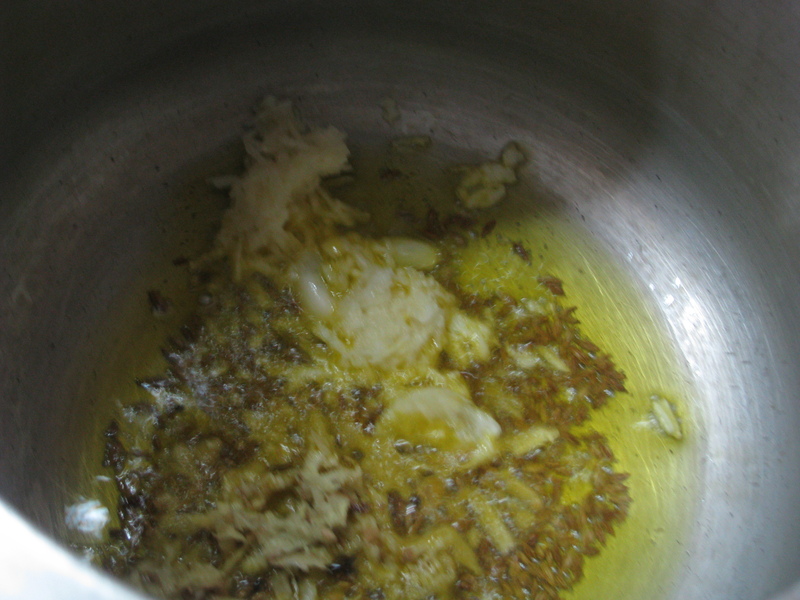 Well filtered groundnut oil also works nicely with it. 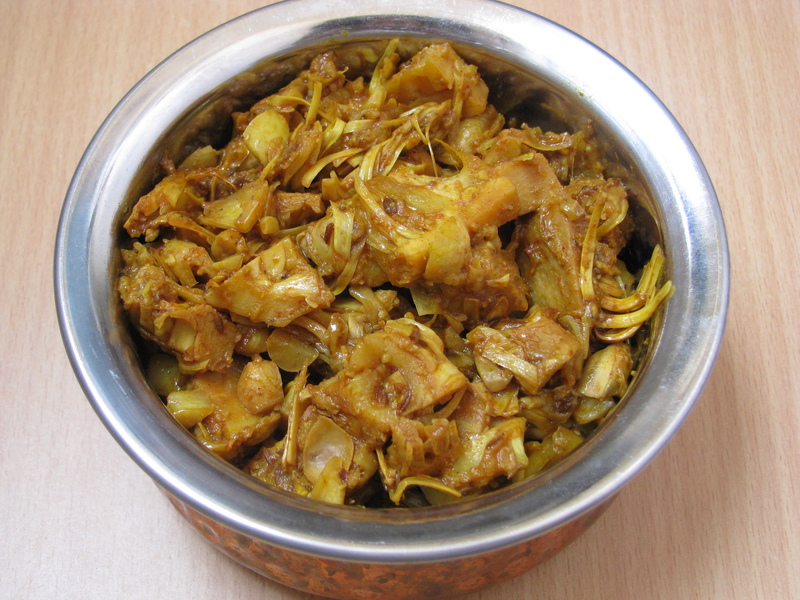 Use raw jackfruit to make this sabji. Take lemon slice and apply it on knife while cutting jackfruit this avoids stickiness of jackfruit to stick on knife. Applying lemon slice on knife and jackfruit also avoids it from getting brown in color. 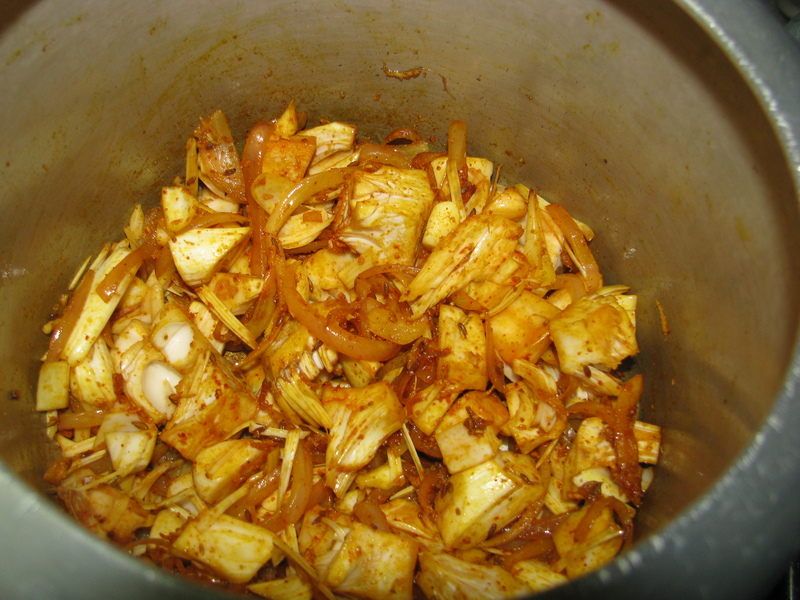 This is non fried jackfruit recipe, I hope you will enjoy it. Do Share your queries and suggestions for this recipe . 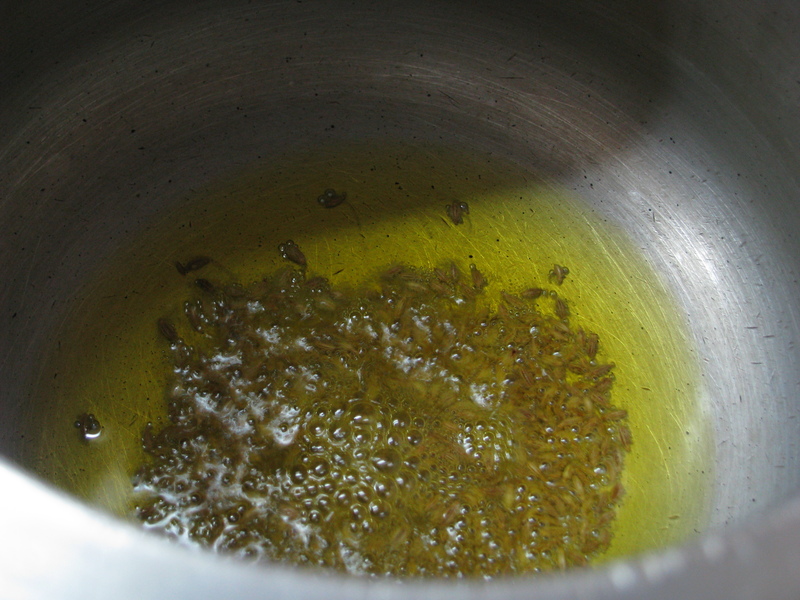 Heat oil in pressure pan (cooker) and add jeera (cumin seeds) to it . 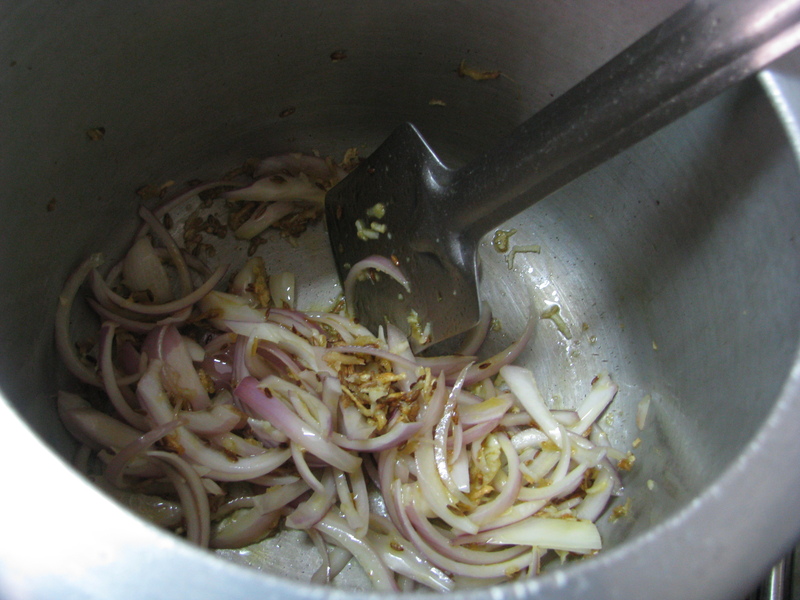 Add onion and sauté it until it becomes soft. Add turmeric powder, coriander powder and red chilly powder. 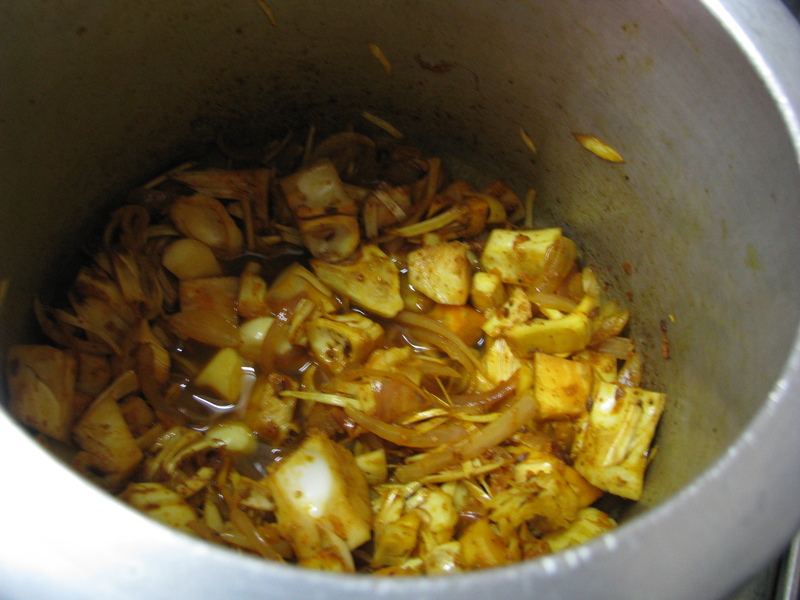 Add jackfruit slices and mix it. Add garam masala powder and salt to it . Add 2 tablespoon of water and cover the pressure pan with the lid let it cook on low flame fr 10 -12 minutes. 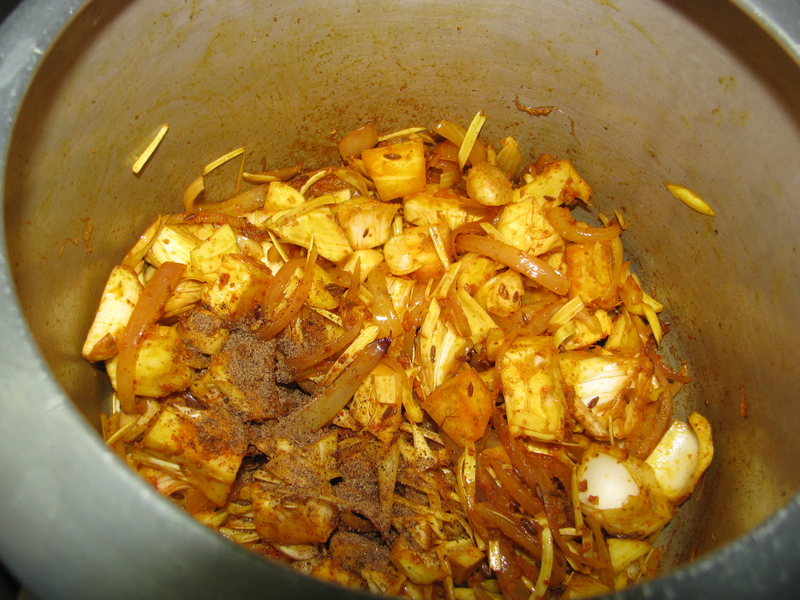 Add lemon juice to cooked kathal or jackfruit sabzi . 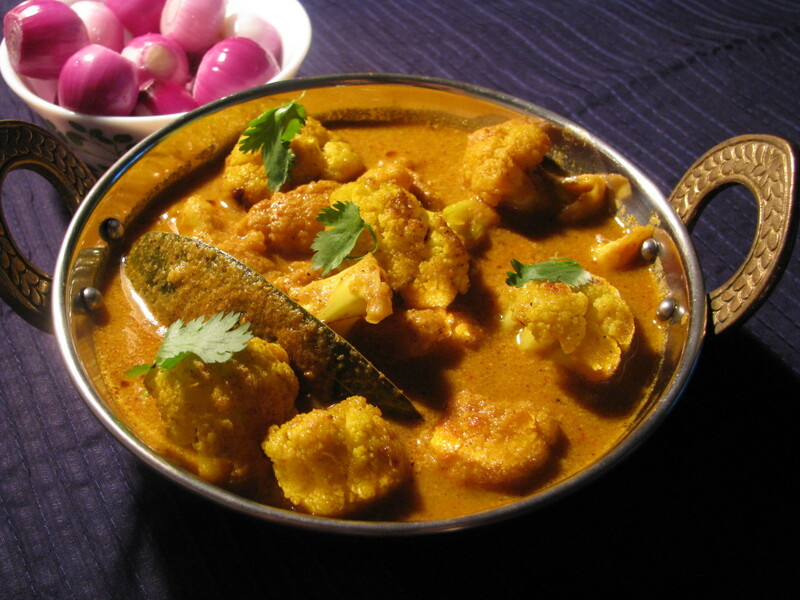 Serve this recipe hot with roti or rice. There’s no need of salt or what?? Without salt..I guess it wont taste good. What do u have to say?